Ari devotes his time to assisting and defending employers with regard to traditional employment issues. He frequently counsels employers for compliance with New Jersey laws and has extensive transactional and litigation experience. Ari has litigated employment matters throughout the state, having made appearances in almost every Superior Court in New Jersey, as well as before both Federal District Courts in New Jersey and the Federal and State Courts in New York. These actions have involved a diverse range of claims such as wrongful discharge, discrimination, harassment, retaliation, enforcement of non-compete/restrictive covenant provisions and wage and hour disputes. Ari also assists businesses during all stages of Equal Employment Opportunity Commission (EEOC), Division of Civil Rights (DCR), Wage and Hour and Department of Labor (DOL) investigations. 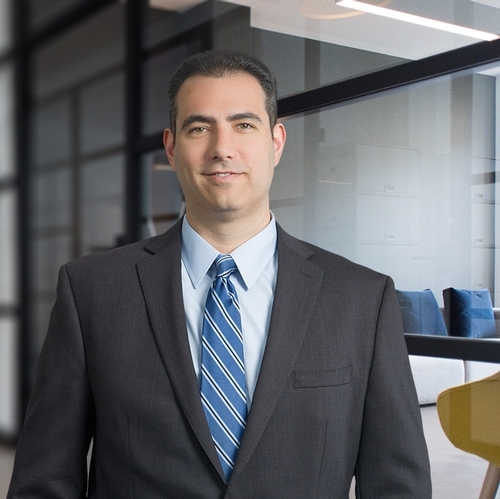 In addition to his litigation experience, Ari regularly assists clients with the preparation and review of employment related documents, such as employment agreements, policies and handbooks. Ari has spoken on numerous occasions to New Jersey businesses regarding employment related issues and is the co-author and regular contributor to the New Jersey Labor and Employment Law Blog, which provides news and updates for employers regarding all labor and employment matters throughout New Jersey. In addition to his labor and employment law practice, Ari also assists the firm's health care clients, providing counsel to hospitals, physicians, and physician groups in matters, generally involving employment, contract and HIPAA issues. Prior to joining the firm, Ari worked at a Monmouth County firm which specializes in educational and labor and employment law related issues. He participated in labor negotiations and often appeared before the Office of Administrative Law. What is a Business Associate Agreement and Who is Required to Enter Into One? Will all employers have to provide health care to their employees starting January 1, 2014 pursuant to the Patient Protection and Affordable Care Act, commonly referred to as "Obamacare"? Can an employer ban its employees from making any comments about it on social networking sites (Facebook, MySpace, Etc)? "Supreme Court Grants Employees within the 'Zone of Interests' Standing to Sue for Title VII Retaliation"